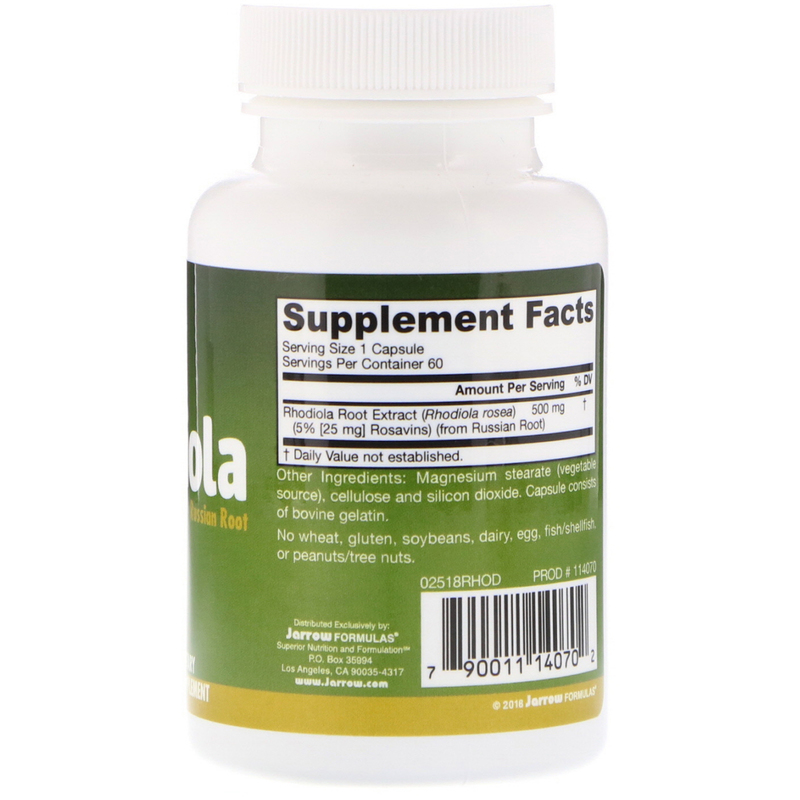 Rhodiola is an adaptogenic herb that has been used for centuries and validated for its beneficial effects on energy production and reduction of fatigue associated with intense activities. Though there are greater than 20 species of rhodiola, only authentic Rhodiola rosea contains the three active rosavin compounds: rosavin, rosin and rosarin. 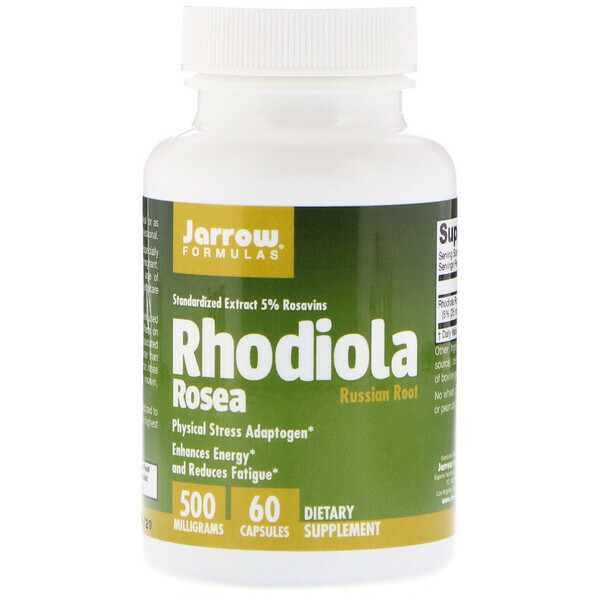 Jarrow Formulas Rhodiola extract is standardized to contain a minimum of 5% [25 mg] rosavins, the highest potency available.